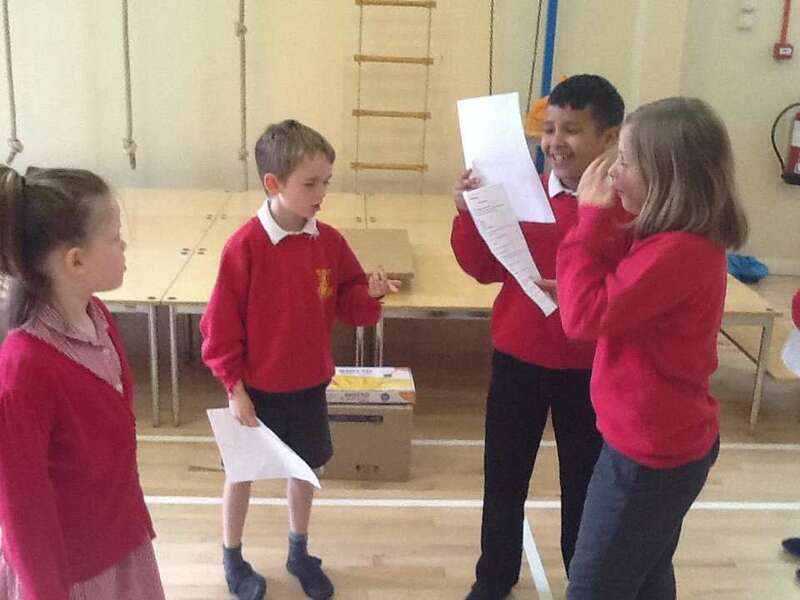 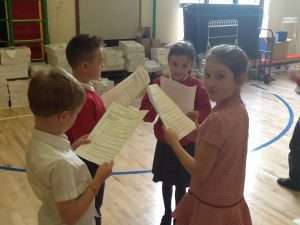 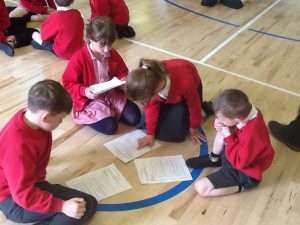 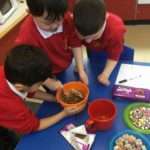 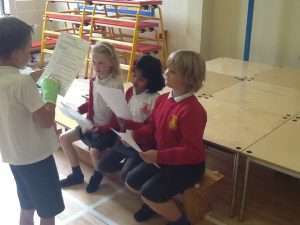 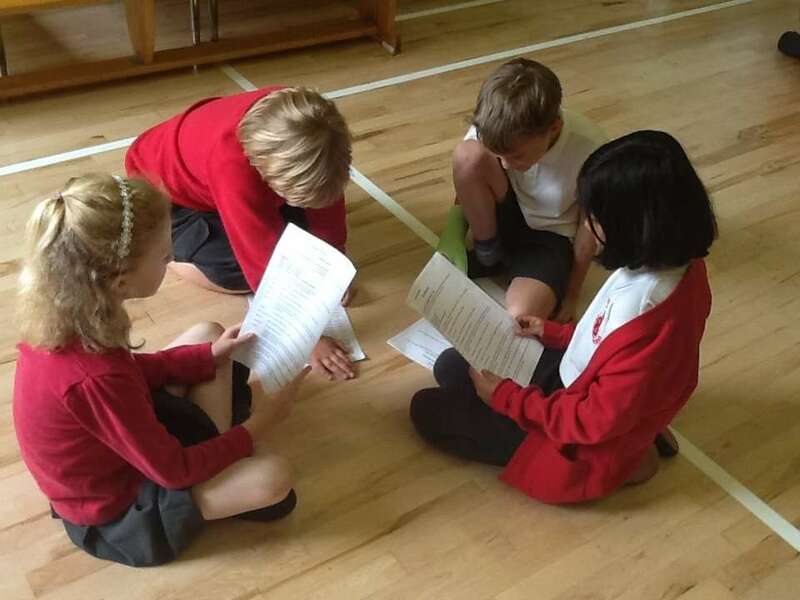 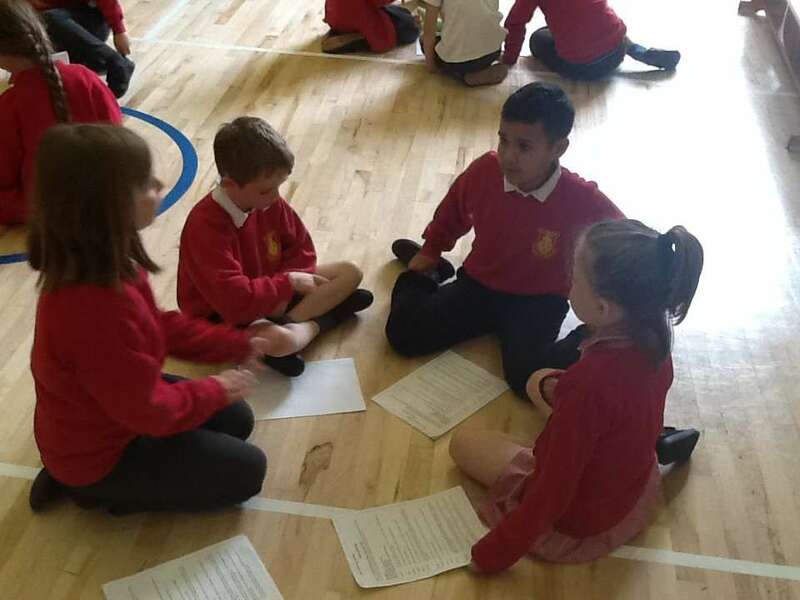 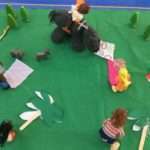 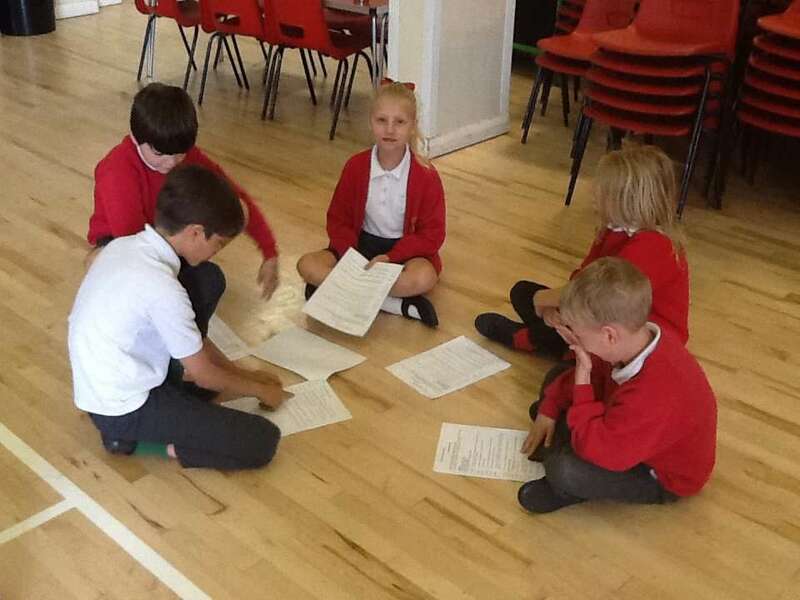 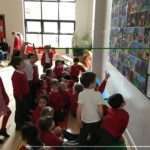 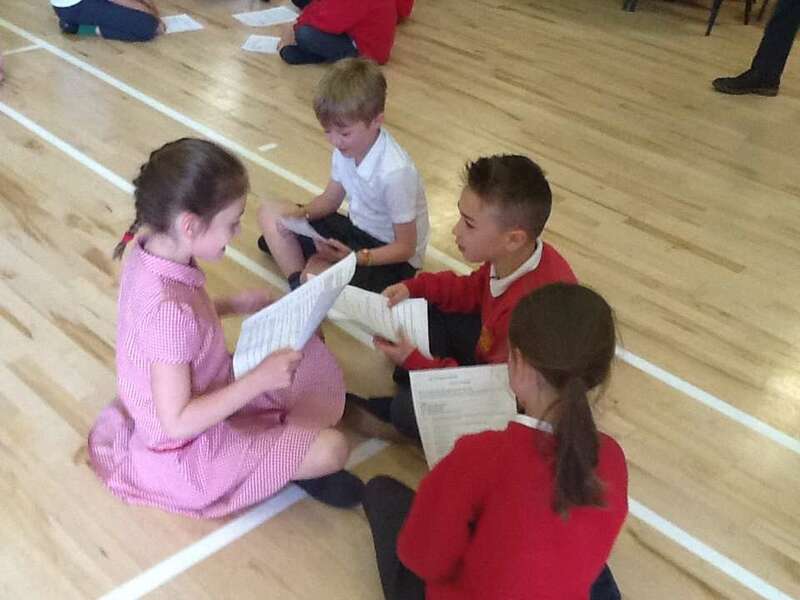 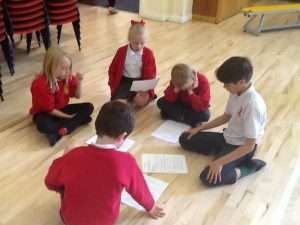 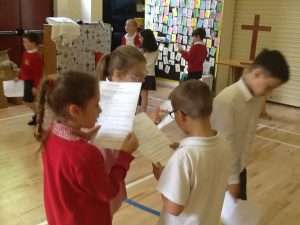 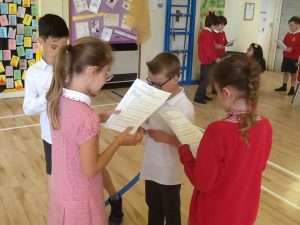 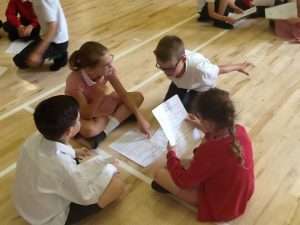 Today Year 3 started to rehearse a short playscript. 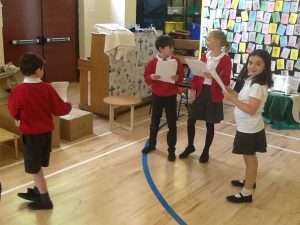 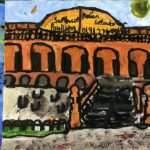 The scene takes place in the year 61CE. 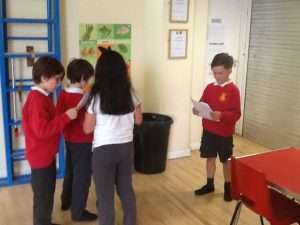 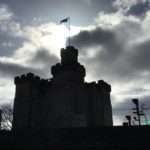 It is 18 years since the Romans invaded. 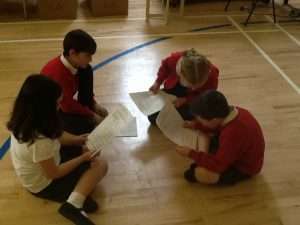 Boudicca’s husband, King Prasutagus has just died and she and her daughters are discussing the future.